Anchors AWEIGH! 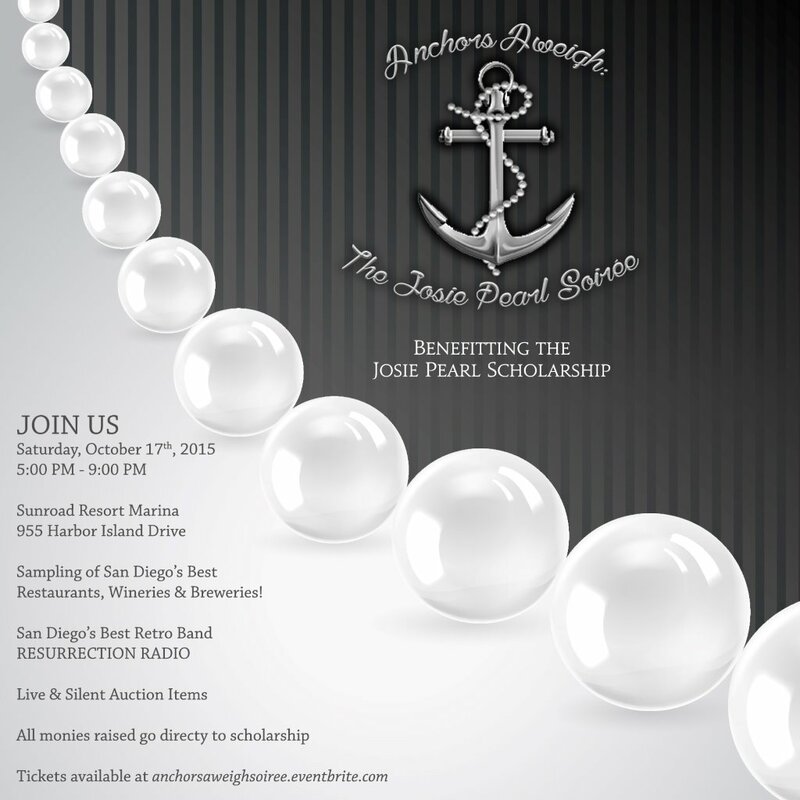 We are excited to be an official sponsor for The Josie Pearl Soiree. Every dollar raised at this event goes directly to local scholarships. Join us on Saturday October 17, 2015, 5pm-9pm at the Sunroad Resort Marina located at 955 Harbor Island Drive, San Diego, CA 92101. This event includes live music, Hors D’oeuvres, craft beer, wine, live & silent auction items. Tickets are available at anchorsaweighsoiree.eventbrite.com.